Rayanne Buchianico owns and operates ABC Solutions, LLC in Clearwater, Florida, an accounting, tax, and business systems consulting firm serving all industries and specializing in IT firms throughout the United States. She is also a partner in Sell My MSP, a listing service connecting interested buyers with motivated sellers of IT firms. Rayanne is passionate about nurturing the transformation in owners of small businesses who become more comfortable and savvy with the financial aspects of their business. Her focus is on improving accounting, business and financial management systems as well as creating customized financial reports that identify areas for improved profitability and company valuation. She has seen clients double their business growth when they learned how to understand and pay attention to these reports and numbers. 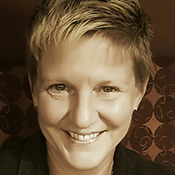 Rayanne has over 30 years of accounting and tax experience. 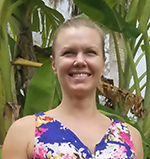 Some of the recent projects Rayanne and her staff have completed in the last year include 23 QuickBooks conversions from the desktop product to QuickBooks Online and the development of a bookkeeping automation workflow to simplify accounting tasks. 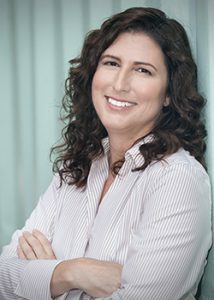 She authored and filmed three QuickBooks courses for Bigger-Brains.com, and three more of her courses are available through Great Little Seminar: QuickBooks for IT Firms, Automating Accounting with QuickBooks Online, and Financial Processes for IT Firms. Outside the office, Rayanne currently sits on the Executive Council for Advancing Women in IT at CompTIA. 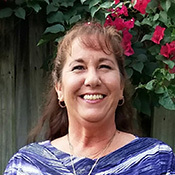 She founded the Tampa Bay IT Pro Group in 2004, served as treasurer of the Global IT Community Association for both the North American and Global boards of directors, and contributes articles to various publications. You may also find her speaking at conferences such as ChannelPro SMB Forums and Autotask Community Live. When Rayanne is not working or serving her industry, she enjoys boating, adventure travel, and fostering elderly dogs who need a retirement home. Chris joined ABC Solutions in 2015 as Staff Bookkeeper and “Office Ninja.” She assists with the IT needs of clients and helped to implement an automated bookkeeping workflow system for clients. She also manages the sales tax filings for clients. Chris earned several software certifications, including Hubdoc, Bill.com, QuickBooks Online ProAdvisor, and QuickBooks Online Masterclass. She is a master problem-solver and loves researching and troubleshooting issues that come up on the job. Prior to joining ABC Solutions, LLC, Chris had a 30-year career in law enforcement where she was an investigator and a fingerprint expert. She earned her BS in Social Psychology from Park University and a Masters in Criminal Justice from the University of Cincinnati. When Chris is not working, she enjoys writing, watercolor, trance music, and all things Tampa Bay Lightning. She is also a lifelong Cincinnati Bengals fan. Carol may be the first voice you hear at ABC Solutions, LLC. In her role as Administrative Assistant, she answers the phones, gets new clients set up, works on spreadsheets, scan documents, manages bills and receipts, and perform other office duties. Carol is resourceful and loves helping out where she can and is a do-what-it-takes kind of a person. 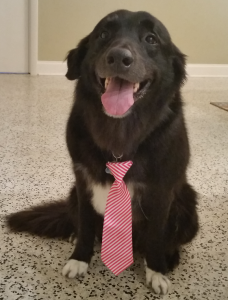 She is proud to be working for a company that has happy clients coming back year after year. She has several certificates from HubDoc and also has a degree in Mixology. When Carol is not working, she is a big Harry Potter fan, enjoys gardening, and spends time with her two cats, Boo and Smoky. Michelle Lube is the newest addition to ABC Solutions. She handles bookkeeping, payroll, and tax preparation for clients. Her favorite part of the job is providing solutions when clients call or email with issues. Michelle comes to ABC Solutions with ten years experience in accounting and tax preparation. She has worked for seven years in accounting firms and for three years in the accounting department of a medical manufacturer. Michelle has a Bachelor’s degree in Accounting from the University of South Florida. When she is not working she enjoys boating, yoga, and walking her French bulldog Tootsie. Shadow, the Firm Greeter, has been with the company since December 2009. His job at ABC Solutions, LLC is to greet visitors and clients, make them smile, and offer them a toy. He also alerts the staff when a client arrives. Shadow is passionate about making sure clients feel at home the second they come in the door. He enjoys the energy and new smells the visitors bring to the office. His favorite part of the job is all the petting he gets from the staff and visitors. When Shadow is not working hard at ABC Solutions, he enjoys chasing squirrels and catching frisbees.